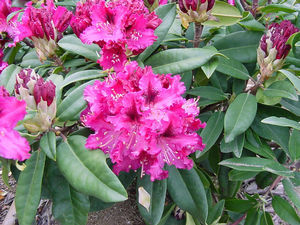 Red/purple blooms appear mid to late season. Red colored stems. Moderate growth rate--4 to 6 feet high in 10 years. Sun tolerant.